27-inch monitors are the go-to size for use in most home, office and medical facilities. The reason for this is it’s the perfect size between a “small” PC monitor and what some consider a “monstrously huge” PC monitor. 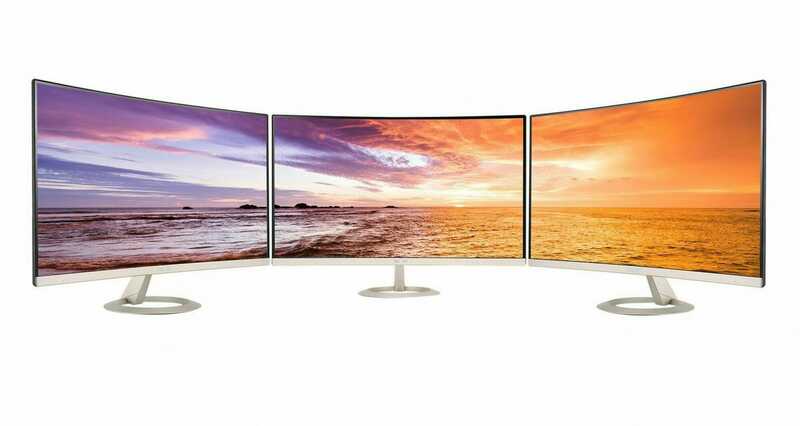 Well before you tear out your hair strand by strand in a fit of wild hysteria, know that we’ve compiled this simple guide to walk you through what you should be looking for when searching out the perfect 27-inch monitor for yourself. We’ll mention some technical terms but instead of just gliding over them like you have any idea what we’re talking about we’ll define the terms, simply, so you can decide for yourself if that’s something you care about. While we won’t be telling you what specific brand of monitor to get like, “Acer” or “iMac” or “Dell”, we will be explaining and telling you exactly what to look for when researching a monitor. Models and brands change every few months so to avoid this guide going stale we are going to give you the basic unchanging information to guide you to your dream monitor. So step away from the ledge, put the scissors down (if you’ve graduated from tearing to cutting your hair) and read on. Resolution. This is a term you hear and read a lot when looking up monitors or really digital screens of any size including TVs. Resolution is simply defined as the number of individual pixels on the screen. Pixels are the building block of the images on your screen. When you look at a screen what you’re actually looking at is thousands or even millions of tiny colored pixels. When they’re grouped together with varying colors they create an image. Each minuscule pixel changes color to create different images. The resolution of your screen display tells you how many pixels are able to be displayed on your screen both vertically and horizontally. The pixels are arranged in a grid system, meaning up and down. Display resolutions are usually displayed like this, “1600 x 1200.” This means it can display 1600 horizontal pixels and 1200 vertical pixels at one time. 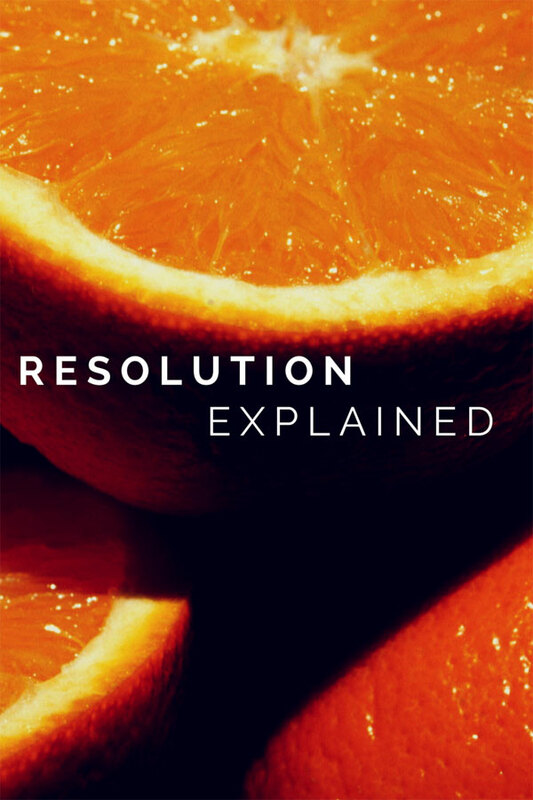 Ok, so now you know what “resolution” and “pixel” mean but how does this help you? Well, the higher the numbers the clearer or crisper the image is. If you’ve ever looked at an HD display and thought, “That picture is crazy crisp!” or even a more conservative, “That picture is quite nice, if I do say so myself.” it’s because HD has a higher resolution (more pixels). You’ll see things like, “1080p” or “720p.” Those are both HD. They just mean, “1920 x 1080” and “1280 x 720” respectively. The “p” just means pixels. But screen resolutions can go a lot higher than that becoming Ultra HD at ranges like “2160p” and “4320p.” 27-inch monitors are the smallest monitors that can support the higher resolutions above 1080p. When looking for your best 27 inch monitor consider what kind of resolution would work for you. What kind of things will you be using your computer for? If you’re using it for graphics-heavy applications like video editing, photo editing or graphic design then you’ll want to go with a high resolution. Whereas if you’re using your monitor for simple document editing or coding then it’s unnecessary to spend the extra money on a higher resolution. Gaming is pretty decent with no more than 720p. In fact some gamers report anything higher is almost distracting. Gamers, always the fickle bunch. What in the wide world of computers is RGB? RGB stand for “red, green and blue.” All monitors these days use an RGB system to produce colors in your display. 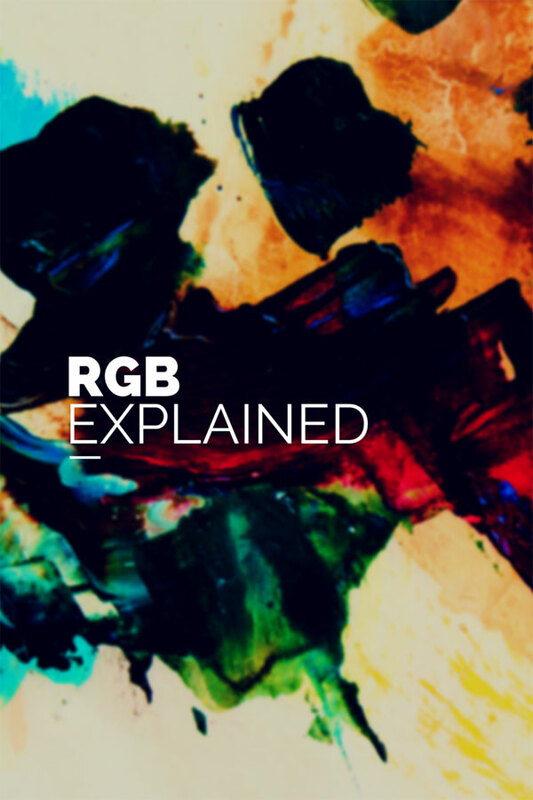 RGB can be used in various ways to produce every color in the spectrum. Our eyes and brains are particularly sensitive to these three colors and when combined in various ways our brains are “tricked” into seeing different colors. Some displays will use a composite RGB signal which does not create distinct vivid colors as monitors that separate out the three colors into their own signals. Basically the best color comes from red, green and blue being their own signals within the monitor. Adobe RGB is short for…well, Adobe RGB. It was simply created by Adobe Systems, Inc. hence the name. Let’s clear up one other term first, “color space.” Color space is just a range of colors that can be represented and detected in a given image. There can be millions of colors in any image. Different color spaces can define the colors more or less depending on the color space. Adobe RGB has a more defined color space which allows the image colors to be more vibrant. sRGB is less defined so the colors will be a little more subdued or subtle. When looking for a monitor consider again what you’ll be using it for. If you want more defined color for your images, especially if working with photos or videos, then you should strongly consider Adobe RGB. If you are using it as a general purpose monitor and not for graphics-heavy software applications then the RGB aspect doesn’t really matter. 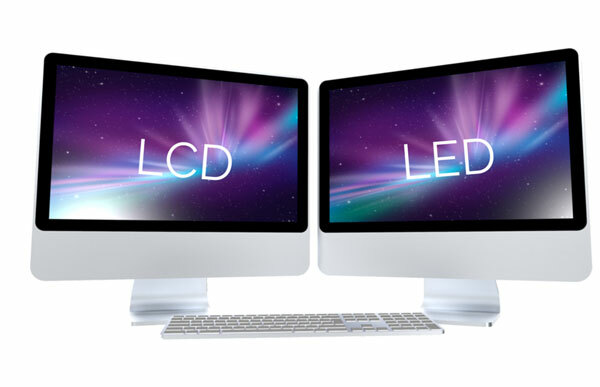 LED or LCD – does it even matter? LED stands for “Light Emitting Diode.” Jeez, no wonder they abbreviated it! The way LCD works is simple: liquid crystals are used sort of like a shutter between the backlight and the screen. Based off the amount of charge given to them by the monitor the crystals will let in or shut out the backlight. Ok, let’s keep this simple, both LCD and LED are actually LCDs. The only difference is the type of backlight that is used. LED uses a more energy-efficient bulb. LED monitors are thinner and more light-weight while as I said it’s more energy efficient consuming about 37% less power than an LCD monitor. So, which one should you get? LED of course. It’s newer, less cumbersome and does display at least a slightly better picture than the LCD. Whoa, whoa, whoa, where’re you going? Don’t run away just yet. Yeah the title of this section is as boring as Ben Stein’s Voodoo Economics speech in Ferris Bueller’s Day Off but trust me, it’s fairly simple. We’ve come this far together, don’t quit on me now! IPS is simply the LCD technology that allows you to view the display screen from multiple angles. Remember when you could only view a computer monitor or TV from head on? 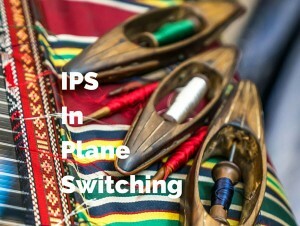 Yeah, well IPS solved that problem. Now you can stand to the side of the monitor and actually read or view the screen. There are a lot of technical reasons behind how this works like crystals being aligned horizontally instead of vertically as well as electrical fields being applied to the spots in between crystal molecules and – well it’s super friggin’ boring so I’ll stop before I put myself to sleep. 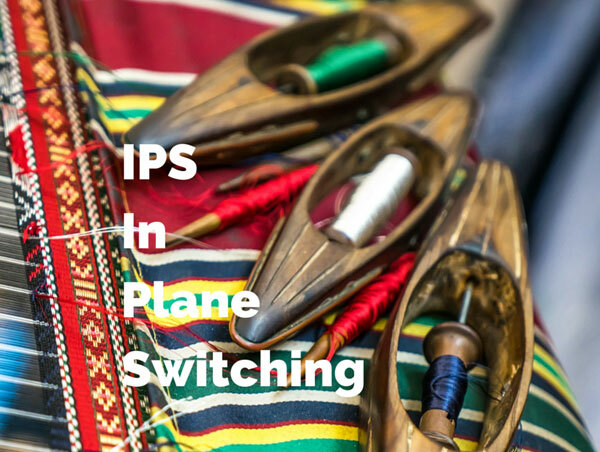 IPS also contributes to much richer color reproduction. It’s important when picking the best 27 inch monitor for photo/video editing, gaming or any other high-graphic activity that you make sure there’s some mention of it being an IPS monitor. If it’s not an IPS monitor, keep it moving until you find one that is. Trust me, you’ll thank me later. If you just want a general purpose monitor or want it for coding or for use in a medical office then skip over IPS monitors and save yourself some money. Refresh rate, refresh rate, refresh rate. No, this has nothing to do with hydration. This is a simple but key concept to grasp when it comes to monitors. 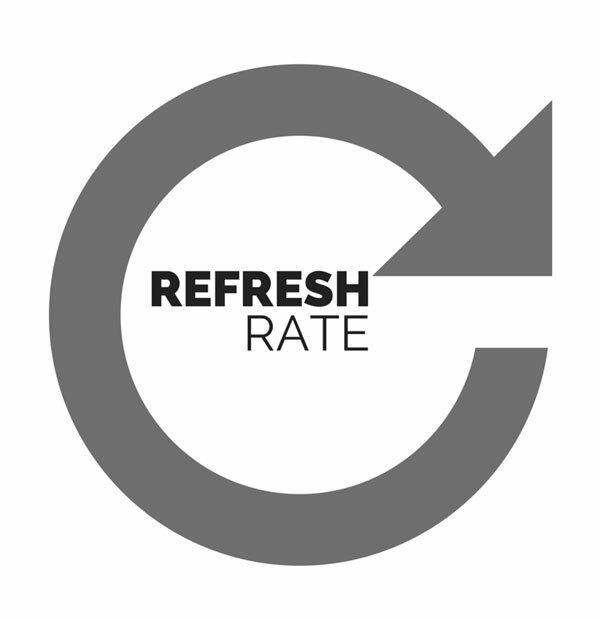 The refresh rate is how many times each second the frame or image is refreshed or updated. Basically how many times it redraws the image on the screen in that second. With a low or crappy refresh rate you’ll notice distortion of images, especially while gaming. This can be seriously annoying while gaming. A high refresh rate is somewhat important for viewing videos but where it becomes very noticeable is during a gaming session. Refresh rates are displayed in this manner “60Hz” (Hz = hertz) which means your monitor refreshed that image 60 times in that second. This is different from FPS which is frames per second. This refers to the data being sent from your computer to the monitor and is dependent on the computer’s output where as refresh rate is the monitor’s ability. If you intend to use your 27-inch monitor for gaming then make sure you have a high refresh rate. The monitor should have absolutely no less than 60Hz but for a superior experience go for 120Hz. Anything higher is just a bit of gravy at that point. You’ll probably be totally satisfied with 120Hz and shouldn’t need to spend more money on a higher refresh rate monitor. For anything other than gaming like photo editing, video editing, watching movies, etc don’t worry too much about the refresh rate. 60Hz should do just fine. 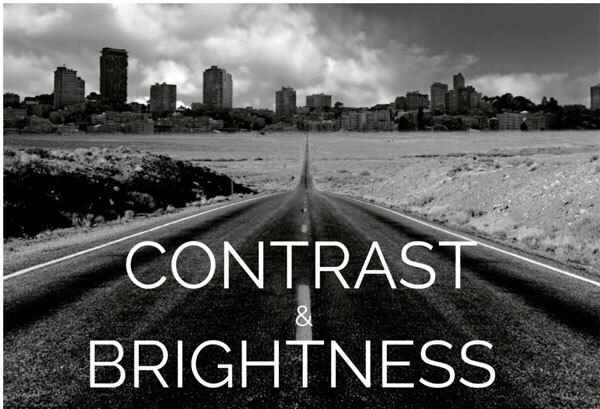 Contrast and Brightness are necessary to understand – no really! Contrast ratio is a phrase thrown around a lot when websites and retailers are promoting monitors. But like most of the features they aren’t explained. Contrast ratio refers to the spectrum of colors from the brightest to the darkest that the monitor can produce. The higher the ratio, the larger the range of colors. In other words you’ll get whiter whites and blacker blacks. They are shown in ratios like “150:1.” A good contrast ratio for an LED monitor would be something like 1000:1. Some might disagree and say you don’t need to get anything over 600:1 because there is little noticeable difference. It’s a matter of opinion I guess but I see the difference. I like my contrast to be on point. Now brightness for some reason uses letters and numbers (cd/m2) to indicate the brightness level. It might as well be written in arabic because it’s never explained, just random numbers and symbols. The cd/m2 is just technical mumbo-jumbo but basically just represents how much light is being produced in the monitor. The average brightness range in a monitor display is 250 cd/m2 to 350 cd/m2. But if you’re gaming or watching movies or even editing videos and pictures you’re going to want something a bit brighter. Try something more in the 500 cd/m2 area. 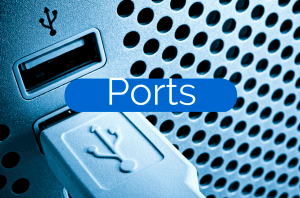 You’ll see plenty of mention of different connectivity ports like “DVI”, “HDMI” and “USB”. Don’t let these terms throw you off or send you running for the hills. Unless you see abbreviations like “KKK” then you might want to reconsider the retailer you’re using. 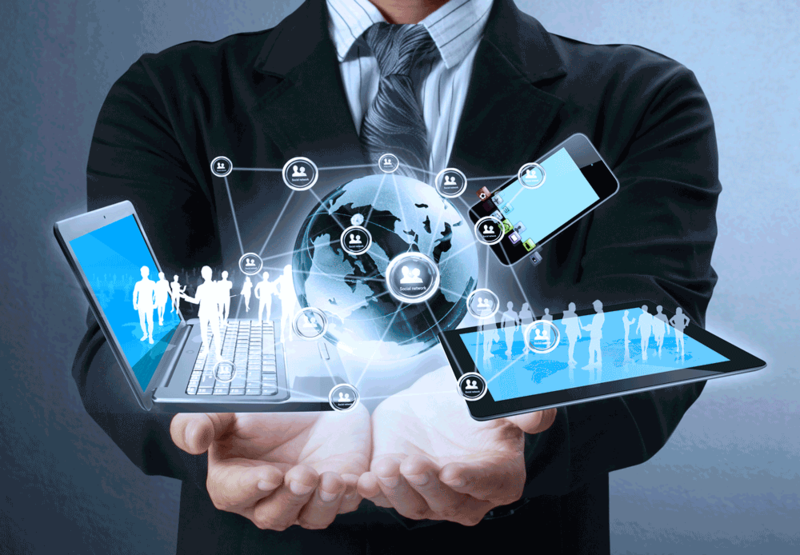 DVI, HDMI and DisplayPort cables and ports are all digital and do a lot of the same things. They transfer data between the monitor and whatever they’re connected to such as a TV or external hard drive or most obviously your computer. HDMI and DisplayPort transfer video, audio and images. They are pretty much the gold standard for this and are what you should look for. DVI is used as a vessel for video signals but generally doesn’t carry audio signals. You’ll still see VGA cables and ports with some monitors. Lord knows why. They are old school analog cables that transfer video signals. If you get a monitor with VGA then you’ll probably use it only as a back-up, last resort kind of scenario when the HDMI or DVI isn’t working or you’ve lost the cable or something. While HDMI, DisplayPort and DVI won’t mess with your image quality VGA likely will as it’s an analog signal not digital. USB – well, hopefully you know what USB is by this point. It’s pretty much the universal data transfer method in present day replacing old-school floppy disks. The “u” in USB stands for “universal” because pretty much everyone in the universe uses it. You may have heard it also referred to as a flash drive or thumb drive. When choosing your best 27 inch monitor for general purpose use ensure it minimally has HDMI and USB connectivity. But if you’re looking to purchase a monitor for video editing purposes ensure it has HDMI, DVI and VGA. Although VGA is less and less compatible with various equipment these days you’ll probably find yourself needing it as some point, so better safe than sorry. If you’re looking to save money though and are cutting back on connectivity then minimally make sure the monitor has HDMI. Ok, ok, to sum up you’re going to want a 27-inch IPS LED monitor with at least 720p resolution and Adobe RGB. Get no less than a 60Hz refresh rate but preferably 120Hz if you can afford to go up that high with your budget. Contrast ratio should be no less than 600:1 and brightness should be around 500 cd/m2. Ensure it has at least USB and HDMI connectivity. That’s about it. Anything else is fluff but these factors should guide you in the right direction towards purchasing your best 27 inch monitor. Wishing you all the luck. Happy purchasing! Is there an aspect of selecting the Best 27 Inch Monitor for your application that you need help with? Leave a comment below, I read every one & promise to respond where possible. Are you overwhelmed by all the different options when choosing a computer monitor? Read this in depth article for a step by step guide through the jargon maze and some common sense guidance.